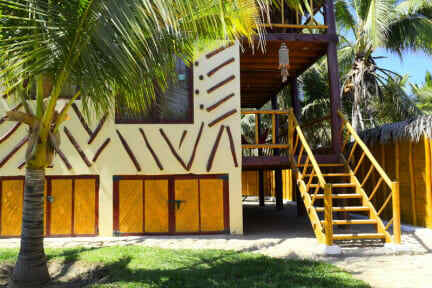 Welcome to Casa Nomade, a quiet, cozy and safe place that can make you feel like at home. 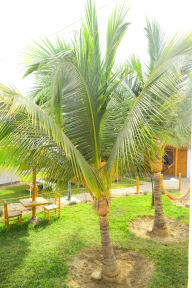 It´s a place where you can relax, meet other travellers, do yoga or water sports, learn Spanish and enjoy nature. Our dog, Lua, will guard your stay here and the hosts will help you with anything you need. The beach is just a brief walk and the sunset is one of the best shows you will ever attend. We are located in one of the best locations of the area, near to some of the most relevant landmarks and attractions of the area such as Mancora Lighthouse, Mancora Beach and Plaza Mancora, amongst other interesting spots and places of our area. We have several types of accommodation options, both shared and private rooms, to satisfy the needs and wishes of our guests and travellers. There is a big garden full of plants where you can relax and an outdoor shower to use after a nice swim in the sea. There is also a BBQ and a garage.